Gone are the days of playing outdoors in the 80 degree weather for hours on end, leisure trips to sandy beaches, and Sunday picnics in the park. But just because the summer season is over doesn’t mean there is no use for some high quality shades and other specs. The sun still comes out during the fall and winter months, after all. Whether you are in the market for some prescription glasses for your young one as they start the new school year or sunglasses for yourself for those autumn days when you are doing yard work, you have come to the right place. In this post, we will take a look at some of the most fashionable, yet practical Wiley X glasses for the fall season. Moxy Polarized Bronze Lens/Gloss Demi Frame: These shades are particularly popular among ladies who love a bit of flair added to their wardrobe. The gloss demi frame with brown patterns makes these sunglasses the quintessential option for fall wear. But like any good Wiley X product, style isn’t the only thing that the Moxy Polarized Bronze Lens/Gloss Demi Frame product has to offer. 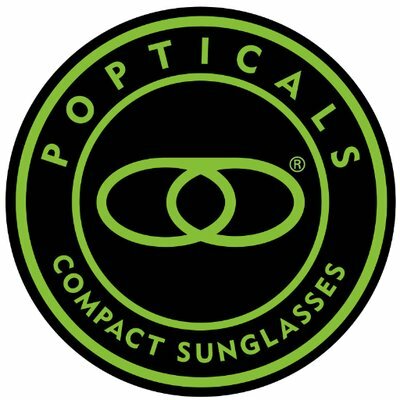 The sunglasses are constructed with features including distortion-free clarity, complete UVA and UVB protection, a shatterproof coating, and polycarbonate lenses. These Rx ready sunglasses also meet and exceed the ANSI Z87.1-2010 High Velocity and High Mass Impact Standards and the U.S. Federal OSHA 1910.1 (b)(1)(1) Standards. The lenses are designed with a T-Shell lens coating to protect the lenses from any scratching and the polarized bronze makes these lenses perfect for anyone looking for greater visual definition and clarity and an eye wear option that can be used in virtually all lighting conditions. The strength and durability of these sunglasses show that they were constructed with military use in mind, but they can also be worn for casual wear and other outdoor purposes. Aside from bronze lenses, these sunglasses come in other color combinations including moxy grey lenses with a matte black frame, moxy polarized blue mirror lenses with a gloss black frame, and moxy polarized crimson mirror lenses with a gloss black frame. Slay Polarized Grey Lenses/Gloss Black Frame Sunglasses: Something a little less flashy, but equally as daring, edgy, and fashionable are the Slay Polarized Grey Lenses/Gloss Black Frame sunglasses by Wiley X. Another eye wear option from the Active Lifestyle Series, these shades make a bold statement with their dramatically dark features. In addition to the gloss black frame, Wiley X also offers a matte black frame for anyone looking for a slight variation. These sunglasses are perfect for autumn days when the sun is particularly harsh and you plan to do a lot of outdoor work or engage in other recreational activities in the sunshine. Whether you are hopping on your motorcycle, doing some tactical work outside, cycling through the park, or brushing up on your target practice, these military-grade Wiley X sunglasses will exceed your expectations. The lenses are made with a shatterproof coating, scratch-resistant coating, and they offer 100% UVA and UVB protection. The frames are also constructed with comfort in mind and come with double-injected rubber temples to provide a soft cushion and strong, non-slip grip. The glasses are made to withstand extreme conditions and the lenses cut down on color distortion while also reducing glare from the sunlight. Youth Force Victory Matte Black and Lime Green Frame Glasses: A list of all of the hottest Wiley X glasses for the fall season wouldn’t be complete without adding some options for the youngsters. When the kids go back to school, it makes sense that you would want to send them off with some brand new, high quality eye wear for school activities or fall sports. If your child is heavily involved in sports and in need of some protective lenses while they are on the field or court, the Youth Force Victory Matte Black and Lime Green Frame glasses are the way to go! These glasses prioritize many important features including style, comfort, practicality, functionality, protection, and maximum clarity. The glasses, most suitable for small to medium size heads, include some great accessories such as a soft, microfiber cloth, a grey goggle strap to keep the glasses secure, a drawstring microfiber bag to safely store the glasses when they are not in use, a hard case with a lime green ruler as an extra means of keeping the glasses safe, and a button strap that is easily adjustable and elastic. This eye wear for children is meant specifically as eye protection for athletic activities and therefore is built with shatterproof, polycarbonate lenses, a T-Shell lens coating to protect the lenses from scratches and harsh conditions and complete UVA and UVB protection. Other features include distortion-free clarity, easily adjustable and removable rubber temple tips, and a nose bridge made out of a soft, rubber material. These features not only make visibility as clear as possible, they also make these glasses one of the most comfortable, secure options for child athletes. They are also Rx ready and can be worn both on and off the field. If the lime green and matte black frame style doesn’t pique your child’s interest, there are other color combination options including silver and magenta, gloss black and aluminum pearl, and matte black with dragon/sonic orange. Brick Silver Flash Lens/Crystal Metallic Frame: These no-nonsense shades give off an irrefutably bold and edgy style vibe, yet they seem to do so without even trying. There are multiple lens and frame color options to choose from, yet all of the colors are dramatically dark. Your lens and frame choices include black grey and matte black, brick silver flash and crystal metallic, brick LA grey and gloss black, and brick polarized grey and gloss black. Along with the actual eye wear comes an instruction card, ultra soft microfiber cleaning cloth, clam shell case with a black zipper, t-peg strap, and a leash cord with rubberized temple tips. These heavy duty sunglasses are designed for military use, safety wear, tactical work, target shooting, and more. They are Rx ready and offer distortion-free clarity, thanks to the UVA and UVB protection. Unlike some other sunglasses, this option comes with a removable facial cavity seal to shield the eyes from dust, debris, pollen, insects, and other irritants or hazardous materials. These sunglasses are some of the best on the market for anyone looking for an eye wear option that effectively reduces glare and color distortion on particularly bright, sunny days. Lastly, these exceptionally durable sunglasses meet and exceed U.S. Federal OSHA Standards and ANSI Z87.1-2010 High Velocity and High Impact Standards. Looking for other great eye wear options for any work or recreational purpose? Don’t hesitate to contact us today with any questions that you may have. We are committed to helping our customers find the right eye wear for their needs, whether they are in the market for something that is ideal for athletic purposes, safety purposes, casual wear, or anything else. 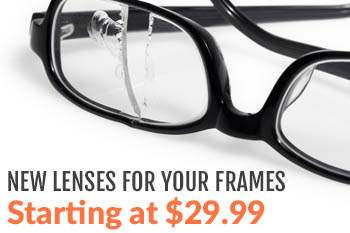 We also offer prescription glasses for anyone in need of a corrective lens. And if you are looking for more free resources, keep reading our other blog posts or visit our official website for additional information.